In order to improve search engine rankings of your online videos, it’s necessary to perform several actions in terms of quality, content, reach and analytics. Here, we have mentioned some of the ways to optimize online videos for search engines thus improving your web presence. Quality: What you see is what creates an impression in your mind, the entire quality of your video is very important and so it is one of the most important aspects that is used to measure its performance in the search engines. 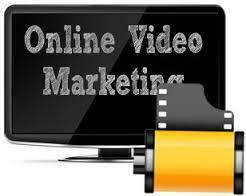 High Quality video generates more views and more views means maximum search engine rankings. Preferable to have HD videos and upload 1080P videos if possible. The quality will be appreciated by viewers as well as search engines. A video shot by professional will have better performance as compared to the one taken from a mobile phone. Short videos easily catch the attention of visitors. Hence, the videos must be of 1- 3 minutes. Video annotations help you to embed links in your videos which further then link back to the homepage. Several videos after adding annotations see spurt in number of subscriptions or views. Content: While the video content plays an important role, it’s equally important for search engine bots to understand videos in a proper manner. So, supporting content must also be of good quality. The title and description of video are two important features that are considered while indexing them. So, it’s necessary to have a catchy keyword rich title as well as description relevant to the video content. YouTube considers the tags that you assign to the videos and so these should be relevant to the video content. Before posting a video to any other platform apart from website, create a back link to your homepage, this will lead to more traffic and optimize your website’s SEO. Make sure you use appropriate keywords in the video title, description as well as the website content. A call to action is mandatory inside the video as well as in the description. In case you are looking for subscribers, make sure the audience is aware about it. Reach: This means to increase the popularity of your website. So, the more your video is popular, the more it will be displayed in search engines. So, your videos must be available at maximum platforms on the internet including Website, YouTube, Facebook and others. Analytics: Examining the video analysis will help you to understand how well it performs across all platforms and then this performance is directly compared with its search engine rankings. So, in order to track your video analysis; you can make use of several analytical tools such as Google Analytics, YouTube Analytics, Social Media Analytics and more. Once you get all the analytics then you can track and measure the ones that perform the best by means of generating reports. This will help you to track the performance so that you can easily modify and adjust your strategy. Hope this blog post has guided you properly regarding online video optimization. Keep in touch with Platinum SEO, SEO Professionals Melbourne in order to stay updated with latest SEO news as well as get proper guidance about particular SEO Services.